First he broke his thumb. Then he suffered nerve damage in his leg while blocking a shot. Tom Kurvers’ senior high school season was not going well. Bloomington Jefferson High School opened in 1970. Ten years later the Jaguars were poised to make their first state tournament appearance in part because Kurvers, a defenseman with an offensive flair, gave Jefferson a dynamic presence few teams could contain. Jefferson’s array of stars included Jay North, Steve Bianchi and Rob Ohno. Even without the smooth-skating, precision-shooting Kurvers stationed on the blue line for a large chunk of the regular season, the Jaguars remained tough to beat. With Kurvers in the lineup, Jefferson – which had never appeared in the state tournament much less contended for a title – wasn’t just a tourney contender, it was championship-caliber. The Jaguars breezed past Albert Lea 10-0 and Austin 5-1 to reach the 1980 Section 1 title game, where they got past Rochester Mayo 5-2. The Jaguars were 20-1-2 and, admitted Kurvers, wide-eyed heading into the state tournament. “It is exciting, so you have to learn how to use the emotion,” Kurvers said about playing in front of St. Paul Civic Center crowds approaching 19,000. “You’re a high school kid, so you don’t know how to contain it and control it and use it. “I remember the week leading up to the state tournament seemed to take forever. And then the tournament itself seemed like it was over in one shift of hockey, not nine periods of hockey. Growing up in his Bloomington neighborhood, Kurvers played whatever sport was in season with an ample supply of like-minded buddies. No matter the time of year, though, a hockey stick always was within Kurvers’ reach. All that extra shooting time made Kurvers a fearsome presence on the point. 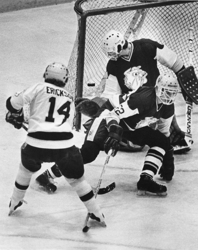 North said Kurvers once scored four goals in an early season game against Edina. Remarkably, North said, all four goals came from the same left-point location. So too, it seemed, was Jefferson. If the Jaguars were suffering from state tournament jitters, they didn’t show it on the ice. The Jaguars beat Irondale 5-2 in the quarterfinals, earning a semifinal matchup with Iron Range Conference powerhouse Grand Rapids. Grand Rapids scored an empty-net goal in a 3-1 victory and went on to beat Hill-Murray 2-1 in the championship game. The Jaguars routed Minneapolis Southwest 6-2 to take third place. Kurvers didn’t have many college options coming out of high school. The University of Minnesota didn’t recruit him. Wisconsin offered only a partial scholarship. Minnesota-Duluth was his best – and, in his mind, only – option. “He just kept getting better all along,” former Burnsville coach Tom Osieck said. “Everybody was not looking at Kurvers to become the player he did. They knew he was probably good enough to play Division I hockey, and then he goes to Duluth wins the Hobey Baker. Kurvers played 659 regular-season NHL games for seven teams in a career that spanned 11 seasons. 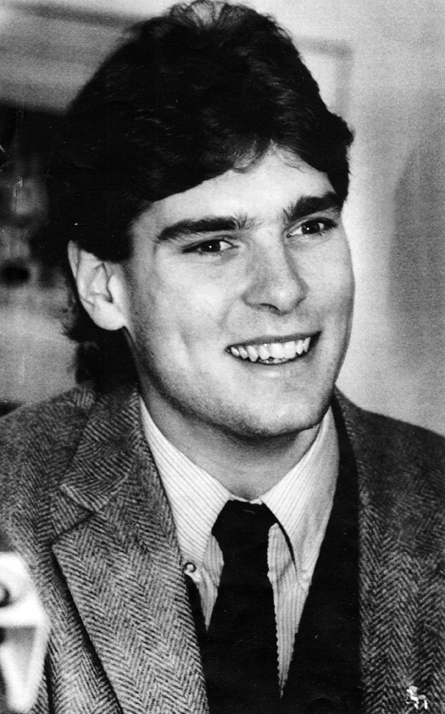 Kurvers retired from professional hockey in 1996. He is entering his third season as the Tampa Bay Lightning’s assistant general manager and lives in East Gull Lake with his wife, Heather, daughters Madison and Rose, and sons Weston and Roman.